Posted in: Charity, News. Tagged: charity, Knockhill, MINI, SMRC. We raised nearly £500 in total, fantastic result. Charity Thrill Rides this Sunday! Charity thrill rides this Sunday at Knockhill’s Track Attack Live event! 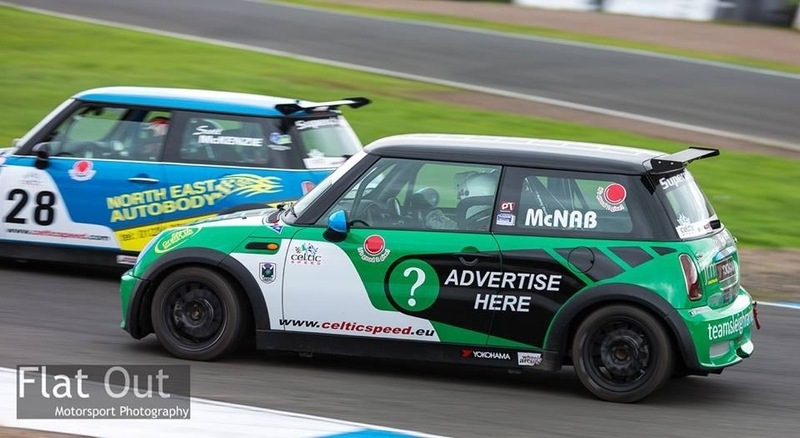 Racers Caroline and Steph McMurdo have teamed up with their racing buddies to offer members of the public passenger laps with some of the Scottish Motor Racing Club’s top drivers, as part of the fund raising they are doing to support Edinburgh based charity It’s Good 2 Give. For just £10, passengers will experience 3 laps of Knockhill circuit with their own tame[ish] racing driver at the wheel in the very cars they race at Knockhill. 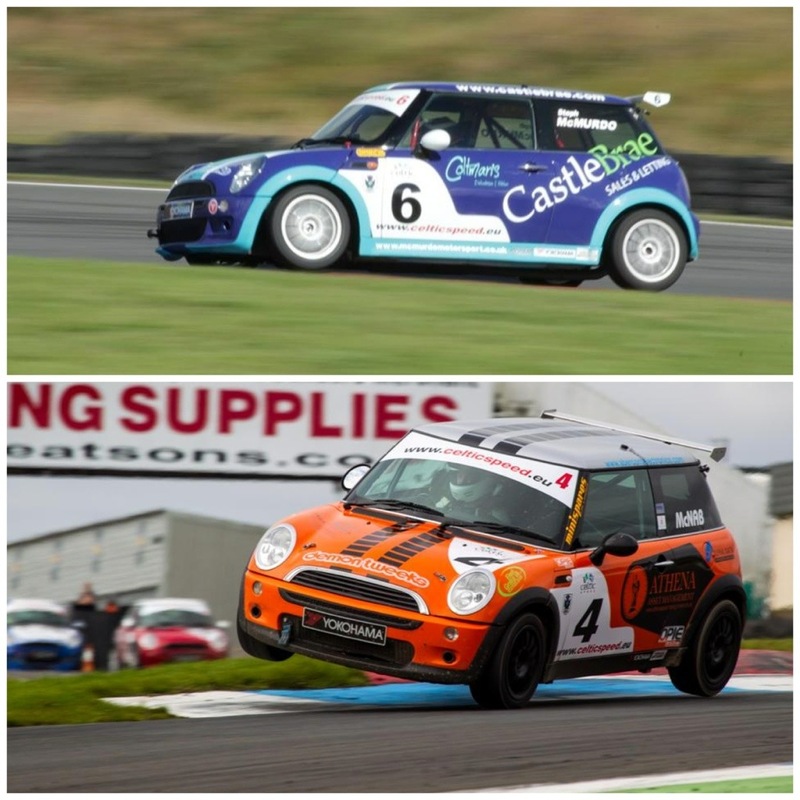 Cars and drivers include competitors from the Scottish MINI Cooper Cup who stole the show at last weekend’s BTCC and we can expect all their usual ten-tenths kerb hopping antics guaranteeing an adrenaline filled ride! The culmination of the fund raising will see the McMurdo girls trekking up Mount Kilimanjaro in October, we wish them the best of luck! Xtreme Karting Edinburgh are delighted to be involved and help with the charity event in memory of David Ball, raising money for CHAS and Maggies. Diary dates for the qualifying races on the 4th, 5th March with the final on the 7th March! Should be great week with lots of money being raised. • Top 3 teams on the podium receiving their trophies!! To race in the qualifying round will cost £40 / driver for the Qualifying rounds, and £25 for the Final race event. To book your place on the event please click here : http://xkedinburgh.clubspeedtiming.com/eventreservation/Default.aspx and scroll through to the event qualifying date you wish to race in (change the month to March), a deposit of £15 will be taken to secure your place with the balance of £25 being paid on the evening of the qualifying event. Drivers can book this On-Line NOW by clicking on the link and changing the month to March. This event was extremely popular last year so please book early to guarantee your place!! Xtreme Karting will send each driver registering an exclusive practice session offer for anyone needing some practice before the event!